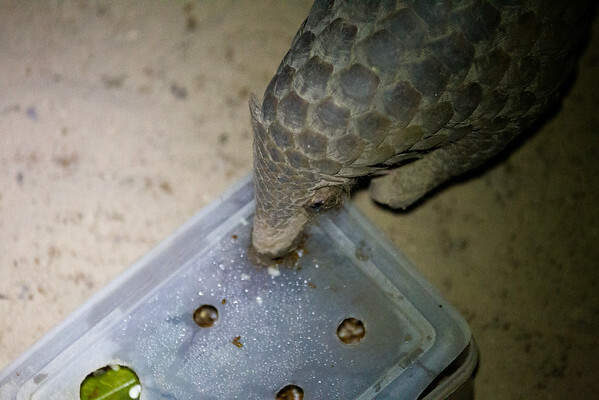 A Sunda Pangolin enjoying a midnight snack of delicious bugs provided by the ACCB. She pokes her long and sticky tongue into the box repeatedly to fetch her food from inside. All proceeds from prints go to the Angkor Centre for Conservation of Biodiversity, who have rescued many pangolins, some of them more than once!